High-quality bang-bang, made in the USA. Hit the range and hone your skill with Remington® UMC®. Made in the USA. 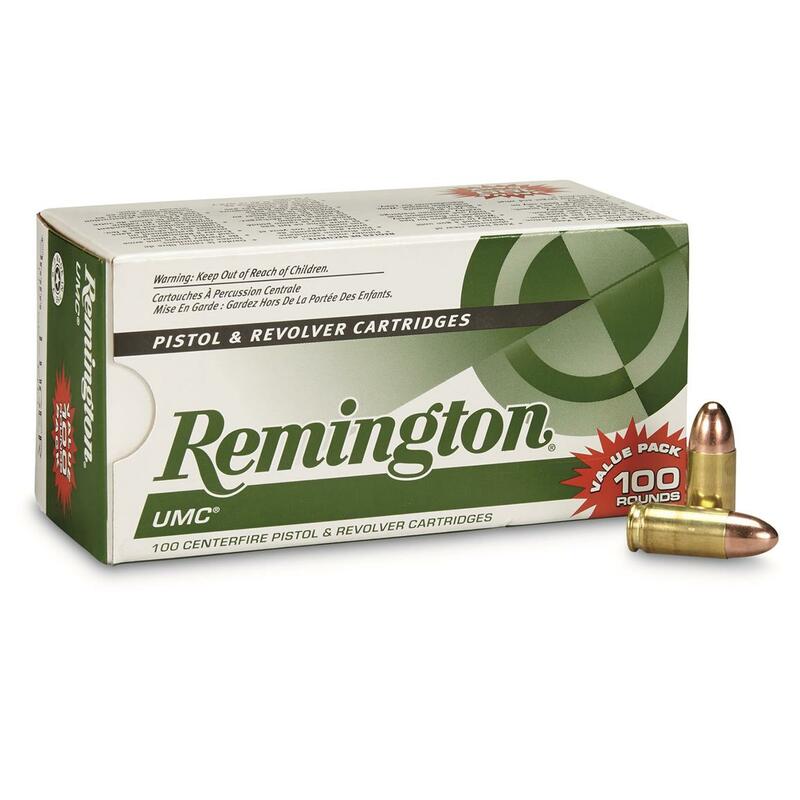 Remington UMC, 9mm, FMJ, 115 Grain, 100 Rounds is rated 5.0 out of 5 by 8. Rated 5 out of 5 by Jason from Great target ammo Great ammo that shoots very accurately and is very clean. Rated 5 out of 5 by naydean from Truly great target ammo at an amazing price! I have shot atleast five of these boxes through my Springfield XD9 and never had one problem. I've also shot the .40 cal and .380 through my friends' weapons and never had any issues, Remington makes clean ammo and it's made in the USA! You wont regret buying this ammo especially at the price that Sportsmansguide has it for, along with great customer service! Rated 5 out of 5 by Ladyg from I love this brand of ammo. 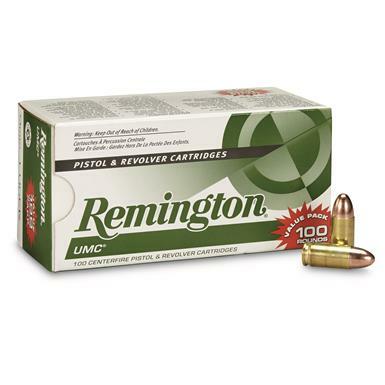 Rated 5 out of 5 by Rich from Great Price Great price on quality practice ammo. Rated 5 out of 5 by MargoChris from the best price i bought the ammo for the kids it's cheap shooting the kids love it and we can shoot all day at this price thank you. Rated 5 out of 5 by Mister Lonestar from Pretty good plinking ammo I have multiple 9mm platforms and this ammo runs consistently through all my pistols without a hitch.